A podcast about the international yacht racing scene featuring exclusive interviews with the sport's top sailors and influencers. Hosted by British sailing journalist Justin Chisholm. 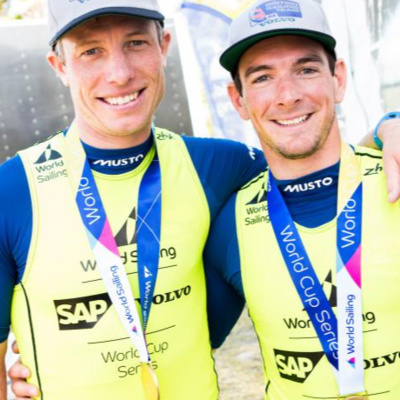 The glamorous lifestyle of an Olympic campaigner is often described as “living the dream”, but if ever there were two people whose lives match up to that description it is British Olympic 49er pairing Dylan Fletcher and Stuart Bithell. As well as winning the 49er World Championship in 2017 and being one of the hot favourites to represent Great Britain at Tokyo 2020, this dynamic duo are also a key part of the British SailGP crew – with Dylan on the wheel and Stu in the role of flight controller. Yacht Racing Podcast host Justin Chisholm caught up with the two of them on the Mediterranean island of Mallorca where they had just arrived for a month of training ahead of the Olympic Classes Princess Sofia Trophy regatta at the beginning of April. 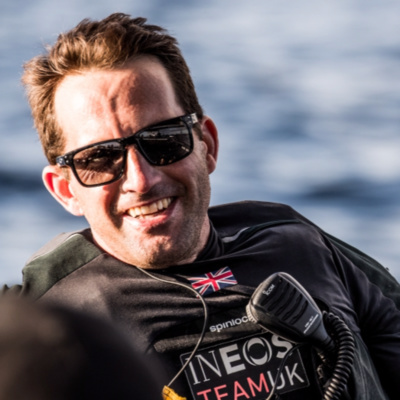 British sailor Sir Ben Ainslie is the most successful Olympic yachtsman of all time and skipper and team principal at America’s Cup challenger Ineos Team UK. Ainslie knows better than most what it is like to experience the highs and lows of the America’s Cup. 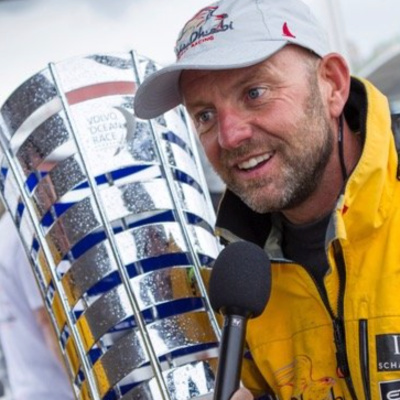 He was an integral part of Oracle Team USA’s amazing comeback victory at the 34th Cup in San Francisco, but came home from the 35th Cup in Bermuda a disappointed man after his Land Rover BAR syndicate failed to make it past the Louis Vuitton challenger series. Now for the 36th edition Ainslie is back with a fully funded campaign bankrolled by patriotic British businessman Jim Ratcliffe and he is more determined than ever to bring the America’s Cup back to the UK. As well as winning countless world championships in a long and illustrious career American yachtsman Terry Hutchinson has also been involved in four America’s Cup campaigns, but is perhaps best known recently for his leading roles in both Doug DeVos’ all-conquering Quantum Racing TP52 and Hap Fauth’s highly successful Maxi 70 Bella Mente campaign. 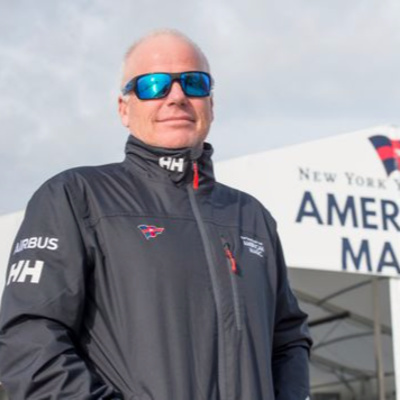 It’s hardly surprising then that when DeVos, Fauth and fellow business titan Roger Penske joined forces with the New York Yacht Club to mount a challenge for the America’s Cup – it was Hutchinson they turned to lead the all-new American Magic syndicate. Our guest on this episode of the Yacht Racing Podcast is British Olympian and ocean race skipper, Ian Walker. 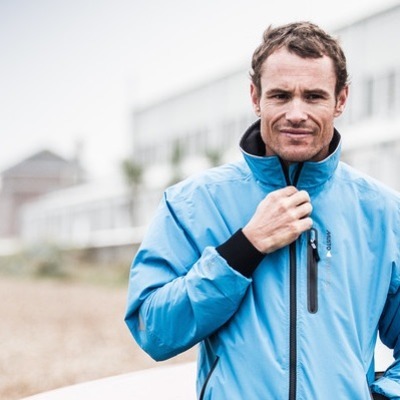 Walker has had a broad and illustrious career in professional sailing having won two Olympic silver medals – one as crew and one as helmsman – and having skippered Abu Dhabi Ocean Racing to victory in the 2014-15 Volvo Ocean Race around the world. Walker has also led America's Cup campaigns and coached fellow Brit Shirley Robertson and her Yngling crew to an Olympic gold medal – as well as successfully plying his trade as an inshore tactician for many years on the international Grand Prix racing circuit. More recently Walker has taken on a new land-based challenge as director of racing at Britain's Royal Yachting Association where – amongst many other responsibilities – he is in charge of the British Sailing Team's Olympic prospects. 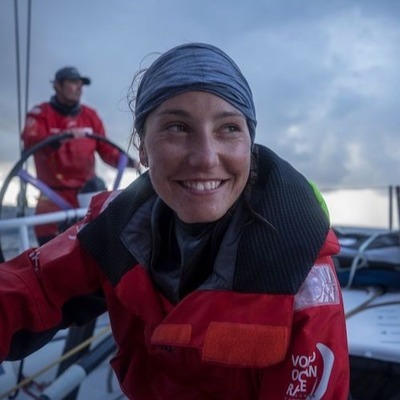 We talk to 23-year-old Bermudian sailor Emily Nagel on the day she was announced as a member of Dutch Volvo Ocean Race campaign team AkzoNobel. The second episode of the Yacht Racing Podcast takes us to the Volvo Ocean Race Boatyard facility in Lisbon, Portugal to meet Nick Bice – the race's director of boats and maintenance. 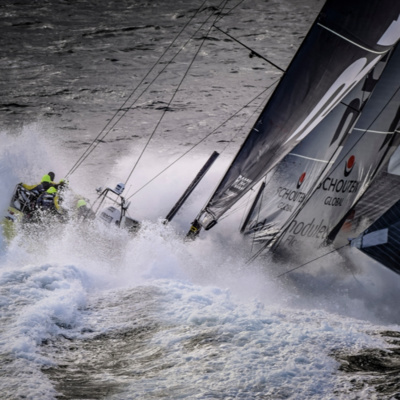 Image by Ian Roman/Volvo Ocean Race. 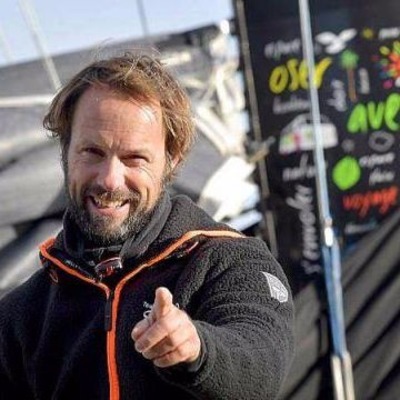 For the very first episode of the Yacht Racing Podcast we travel to New York for the finish of The Bridge transatlantic race to speak exclusively to French record breaking solo round the world multihull skipper Thomas Coville.